A powerful earthquake with an epicenter in the Ionian Sea in Western Greece rocked the island of Zakynthos, the western coastal areas of Peloponessos and much of the region in the early hours of Friday. 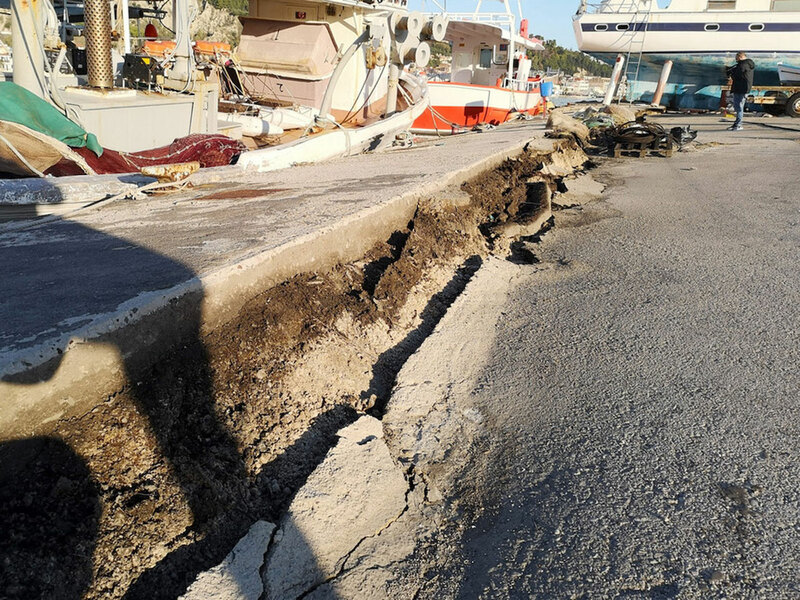 Damage was reported throughout Zakynthos, including a portion of the island’s main port, which cracked to the pressure of the shifting seismic plates. On the tiny island of Strofades, just off Zakynthos’ coast, severe damage was reported at the Monastery of St. Dionysos, a historic medieval structure. 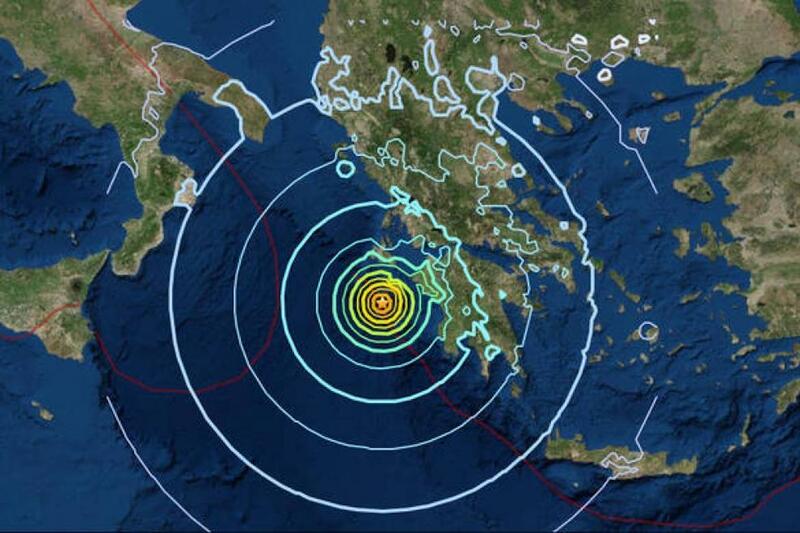 The Greek Geodynamic Institute measured the biggest tremor at 6.4 with a depth of 10km. 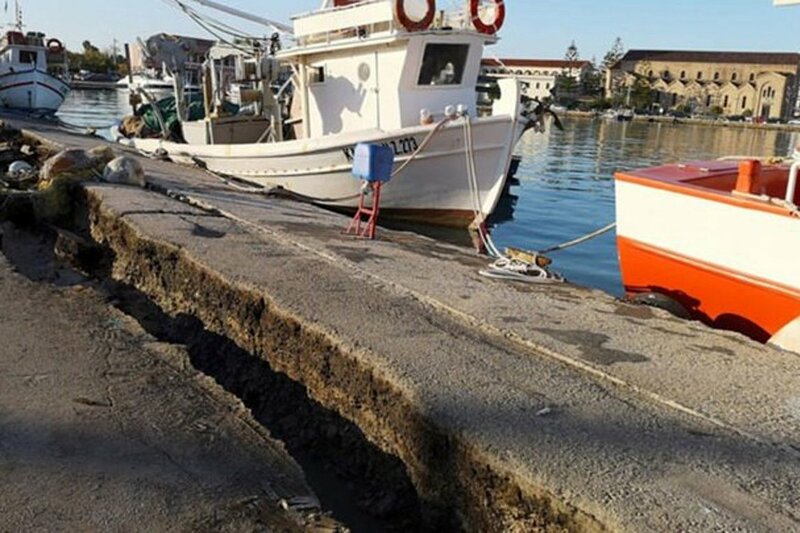 Europe’s EMSC quake agency put the strength as high as 6.8 and noticed small changes in sea levels and small Tsunami ripples along Greece’s western shores.